Not our favourite, but perfectly fine. We’d stopped in Merida as there were lots of Roman remains but unfortunately many of them seemed to be closed or not terribly easy to see. The bit of the town we saw was uninspiring but perhaps if we’d given it longer it would have revealed more of its charms. We parked here while exploring El Rocio. It was well maintained, with good provisions but fairly soulless. Lots of Northern Europeans were parked up in tightly packed rows. I wouldn’t want to stay here for any length of time but it was fine for exploring the park. It was gorgeous at Los Gazules. Close to the white Andalucian town that the campsite takes its name from, it was quiet, surrounded by wooded hills and a mere half an hour drive from Algeciras. It was here that I had my first genuine moment of joy since leaving Yorkshire; chopping vegetables to the delicious tones of Kris Drever on the stereo and happy squeals of Rob and the boys playing football. Long warm shafts of sunlight cut through the door of the van and coated the scene in a golden late afternoon glow. I let some of the previous weeks of cold and general weirdness drop away and felt the goodness of it all. The next day we took the ferry to Morocco. Needless to say, it was glorious staying in a riad with a proper bed. And this riad was particularly lovely. Fahid the proprietor rang around potential window fixers and found someone that could fit us some plexi glass the next day. The staff were super friendly and the breakfast was the stuff of children’s dreams; pancakey thingies with caramel sauce, chocolate puffy balls with milk, fruity yoghurts, omelettes, pain au chocolat and more besides. Both boys left the breakfast table looking a bit green about the gills but happy. We probably wouldn’t have stayed at Mohammedia if our repairs hadn’t taken most of the day following our unplanned stop at Rabat. As it was, we needed somewhere not too far away to stop for the night. As we approached all we could see for miles around was building site. Clearly the developers have decided that the coast here needs hotels and lots of them. It’s not even a very nice bit of coast and far too close to an oil refinery for my tastes but the campsite once we found it was nice enough. 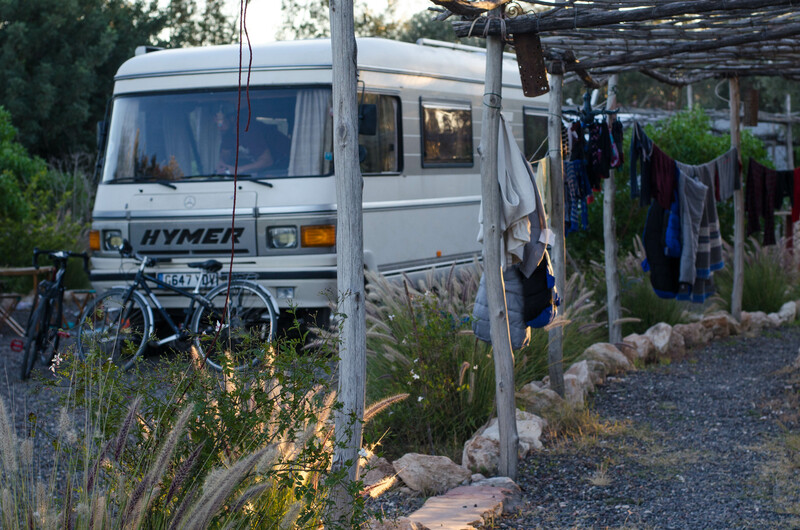 Lots of the ubiquitous white French motorhomes were parked up, signalling that we’d stumbled upon an approved spot. 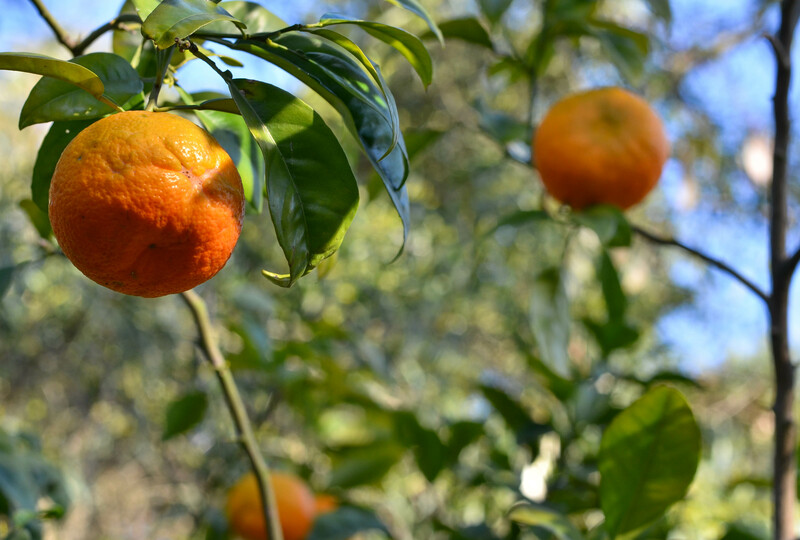 For the family that had been moving almost daily for three or four weeks, arriving at Esprit Nature was like finding a little piece of paradise. 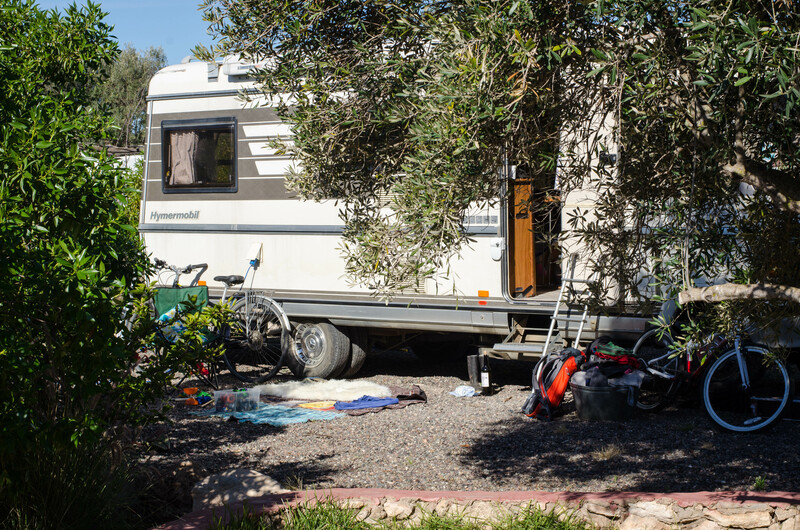 The owners Severine and Patrice have put so much thought into this campsite that it feels almost like you are invited guests. 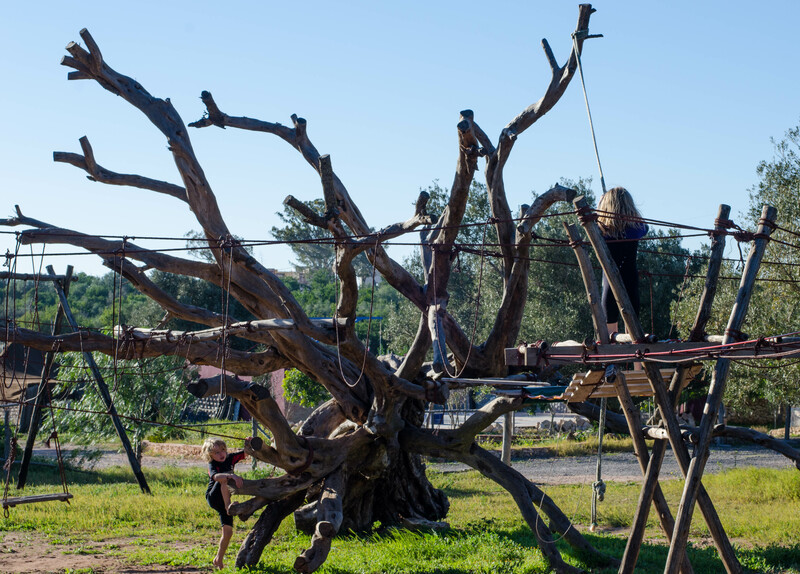 Set in the midst of an argan forest, there was a home made adventure playground, crystal clear swimming pool, water at every pitch and immaculate facilities throughout. 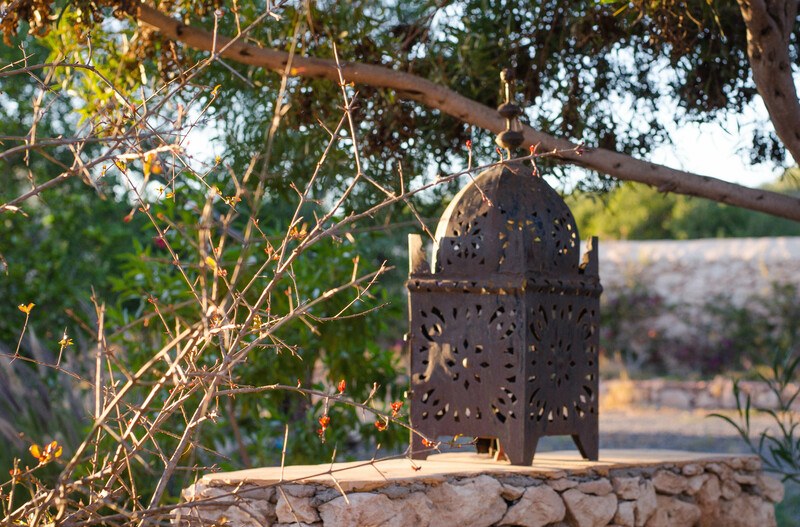 At night the entire site was lit by huge Moroccan lamps and the atmosphere was so good and relaxing that we ended up staying six nights! It was the first time in weeks that we properly set up camp and felt at home. On our first night Severine cooked for us one of the tastiest bits of lamb any of us had ever eaten while we sat in their living room and talked quietly of following dreams. Beautiful post again Selina, good balance between giving information and stirring one’s heart. The last campsite especially made me want to go camp in Morocco! Sonna says: “Nice…” So there you go…. Thank you my lovely. It was so good to stop and just be for a while. Hasn’t been too much of that of late, been zooming around again, trying to get round everything before we meet the grandparents in Spain! Just found this on Twitter as you seem to be the only other person who tweets at #motorhoming. I really enjoyed reading this, as I hope to make it to Morocco soon. So sorry to hear about your window. How can anybody open a door on the motorway? How insane is that? 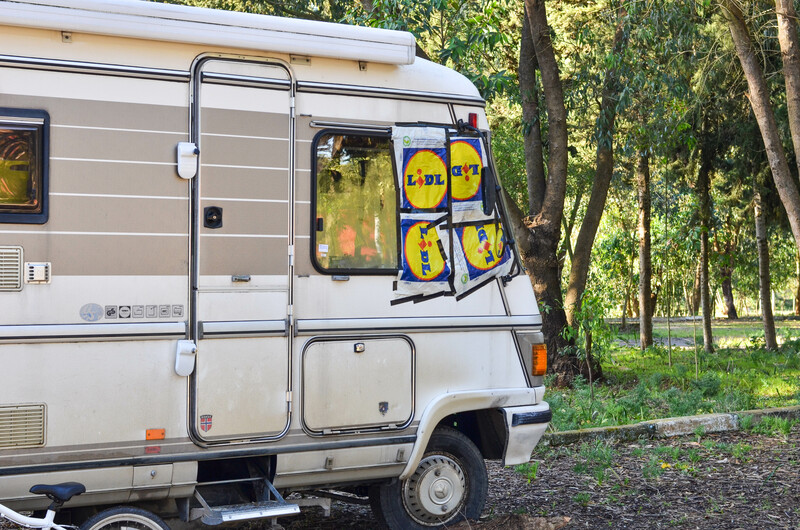 Will their Insurance pay for the damage to your motorhome and all your troubles? Good luck with that. We are with Comfort Insurance and they were very helpful on a couple of occasions. 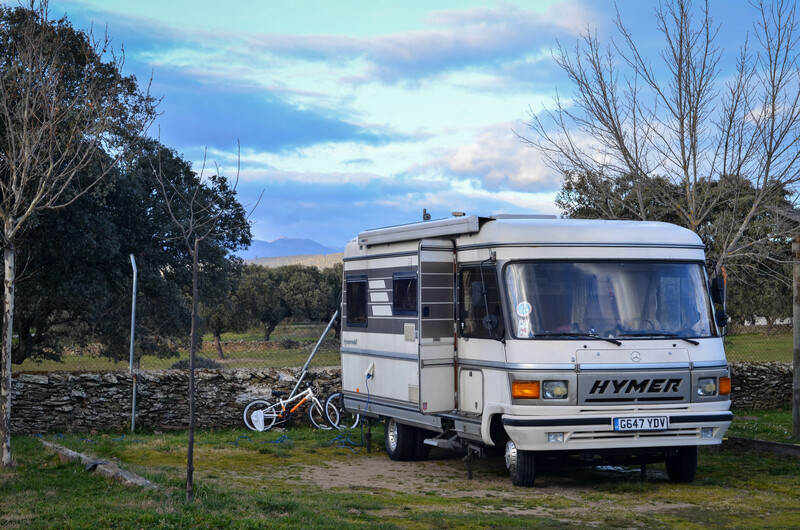 We are selling our Elddis to buy a Hymer B584!!! Thanks Fatima, I noticed there wasn’t much action on the motorhoming hashtag, maybe we can change that! Didn’t have much luck dealing with the guy who opened his door and in retrospect we’d have done things a bit differently, but we were really green at that point and didn’t know what to do. 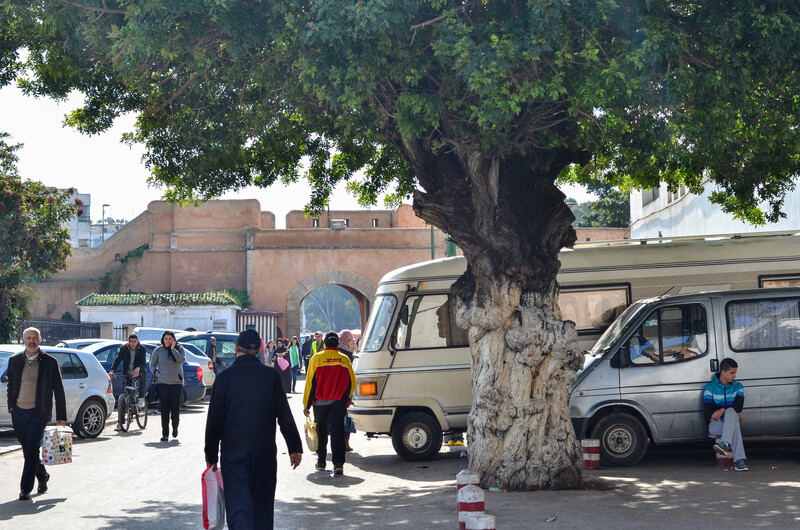 Things work a bit differently in Morocco….Good luck with the Hymer purchase, they’re great!